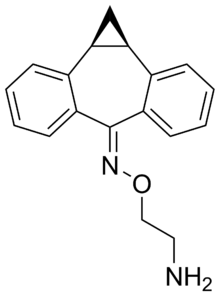 Mariptiline (EN-207) is a tricyclic antidepressant (TCA) which was developed in the early 1980s, but was never marketed. ↑ Hans-Jurgen Hess (1982). Annual Reports in Medicinal Chemistry Volume 17. Boston: Academic Press. p. 400. ISBN 0-12-040517-2.